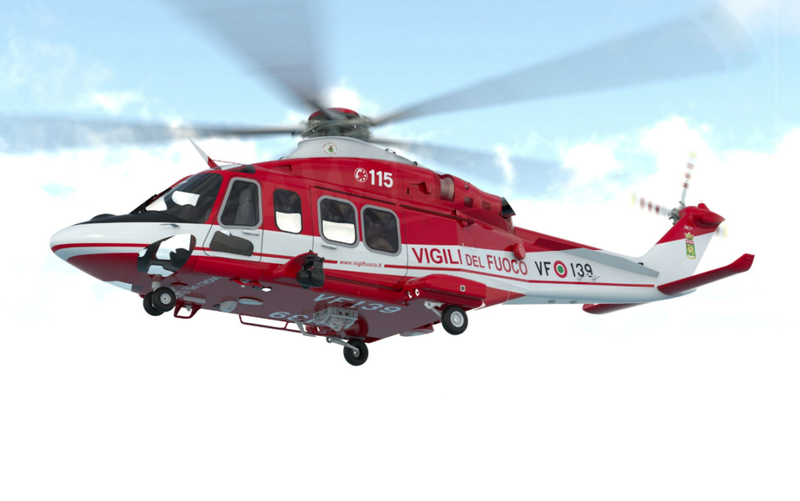 In a move to enhance its emergency multirole airborne capabilities to more effectively counter the ever increasing risks of firefighting duties, the Italian National Fire Corps (Vigili del Fuoco) has signed a contract for the supply of three AW139 intermediate twin engine helicopters. The order, valued at around €45 million, also includes integrated logistic support and training for pilots and technicians, and encompasses an option for 12 additional helicopters. Deliveries of the three new aircraft are expected to start shortly and to be completed in 2019. Over 816,000 rescue operations occur every year countering fires across Europe, including many in Italy this year. In order to better face these challenges the Italian National Fire Corps, part of the department of firefighters, public rescue and civil defence within the Ministry of the Interior, is acquiring the world’s best rescue helicopter capable to also carry out maritime and mountain search-and-rescue (SAR), medical rescue, and disaster relief/civil protection. The AW139 has been selected by the customer following a competitive tender launched in 2017. The seven-tonne AW139s of the Italian National Fire Corps are expected to progressively replace their AB412 helicopters which have been in service for decades. The new aircraft of the Italian National Fire Corps will feature a wide range of mission equipment, including an external rescue hoist, cargo hook with bambi bucket provision, weather radar, multi-band and satellite communication systems, high definition Forward Looking Infra-Red / Low Light TV (FLIR/LLTV) system, Leonardo’s high definition mission console with digital recorder, high definition down link, Leonardo’s Optical Proximity LiDAR System (OPLS), Night Vision Goggle (NVG) capability, new generation Trakka searchlight, emergency floatation system and external life rafts, external loudspeaker, medical rack and bubble windows.